My PC's hard drive was almost full so I needed to get a new hard drive. There are lots of hard drive options available like buying a larger internal hard drive, an external USB drive, or a network attached drive. I opted for the latter, also called the NAS or network attached storage, because I wanted all my PCs to share the NAS. Which is the best to buy? I had no idea but here's what I found out. Windows Home Server or Linux OS? A friend recommended I look at Windows Home Server (WHS) so I tried to find out what that was. At first, I thought WHS was just Microsoft's version of a NAS. I kept trying to compare features between WHS and NAS systems. Then I realized I was asking the wrong question. NAS is the umbrella term for ALL network attached storage and WHS is simply one of the operating systems that a NAS can run. Most NAS systems run either Linux or WHS. What I did find out was that WHS has a lot of nice, built-in features that make it only available in higher-end NAS systems. WHS has excellent automatic backups features and excellent read/write speed from what I read. It also is a robust OS built on the mature Windows Server 2003. And even though it's a Microsoft product, it also works with Macs. The best WHS system is the HP MediaSmart series that comes in a high-end EX and a lower-end LX (like Honda car models). The HP MediaSmart EXs start are priced between $420 and $730 depending on the hard disk size. The LXs start at $270. Since WHS is just another Windows box, you can simply build your own WHS. There are plenty of articles online about how to build your own WHS, either by buying a new PC or buy repurposing an existing Windows PC you may have. As far as I can tell though, the Linux NAS systems have just as many features and can be just as fast. The main difference seems to come down to price and selection. There are simply many more Linux NAS systems available so you're more likely to find a Linux-based NAS that meets your requirements and price range. I should mention you can also build your own Linux-based NAS using FreeNAS. You can find many how-to articles online but you should only try this if you're comfortable with Linux and don't mind lots of tinkering to get things to work. The next important feature was read/write speed. Since a NAS is responsible for storing shared files and also for backing up files from each PC you have, read/write speed is important. The sheer number of NAS choices to compare, however, was intimidating but luckily I found a NAS Performance Comparison Chart at SmallNetBuilder. I cannot tell you how awesome this site is for having the most in-depth and up-to-date reviews on NAS systems. After reading many reviews, the way I understood this chart is that anything with a throughput of 50 Mbps or higher can be considered a medium to high-end NAS. Anything below 50 Mbps starts to become a lower-end NAS where speed can become an issue. From the comparison chart and reviews, I can tell you that the top NAS brands running Linux are Qnap Turbo, Netgear ReadyNAS, and Synology. The next big feature you must decide on for NAS systems is how many hard drives it should have. NAS systems can have 1, 2 or more drives. The more drives you have the more redundancy you have and also the more the system costs. NAS systems with multiple drives are capable of RAID setups. RAID itself is a complicated area having RAID 0, 1, 3, 4, 5, and 6 configurations. Anyone interested in RAID should research that in more depth. Suffice it to say, I didn't think I needed a RAID setup so I avoided the whole thing :). I did, however, read alot about how WHS even with multiple drives was not a true RAID setup so anyone considering WHS and RAID should research this more. Automatic back client - NAS systems require a client be installed on every PC you wish backed up and usually come with at least 1 free license of Memeo or similar software. Be sure to check how many free licenses you get from your NAS. UPnP media server - This feature seems standard now on most NAS systems. It allows you to stream video and other media to an UPnP-enabled device like a PS3 or Xbox 360. Print server - This also seems standard now. If you attach your printer to your NAS, it allows you to access the printer from any PC connected to the NAS. iTunes server - Another standard feature nowadays. It allows you to store all your iTunes music on the NAS so you can access them from any of your iPods or iPhones. I did read, however, that some NAS's can stream but may not be able to show your songs in a playlist. In other words, you have to find a song in a long list of all your songs so do check on that. eSATA port - This is only standard on higher end systems. eSATA ports allow you to connect another hard drive with an eSATA connector at over twice the transfer speed of USB. This is very useful if, for example, you plan on hooking up an external disk drive to back up your NAS. Don't put any value in NAS systems that come bundled with an online backup service. You may think this is cool as I initially did because this would protect your data in case of fire. The problem is that when you have 1TB of data, it will take forever to backup online. Plus the online backup services will likely have a subscription fee for any significant usage. In the end, I bought the Buffalo Technology LinkStation Pro 1 TB LS-XH1.0TL for $215 at Amazon. This was the best value NAS in my opinion. I had decided I only needed one drive. I figured that I'm better off simply buying a USB drive later to backup my NAS. Then I could keep the USB drive in another location to protect my data in case of fire. A RAID system still can't protect your data from fire. 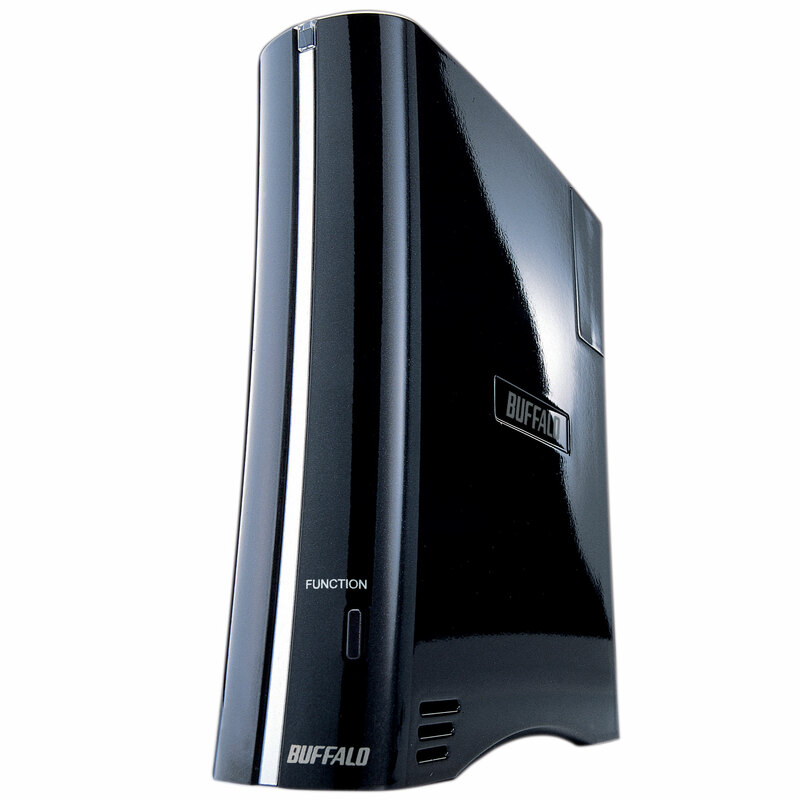 The Buffalo Technology LS-XH1.0TL was the only NAS with a throughput of 50 Mbps or over that cost less than $300. My second choice was the Synology Diskstation DS109 but you have to buy the hard drive separately and a 1TB drive put the DS109 over $300. One thing I wish it had was an eSATA port (only has a USB port) but I can live with that for the price.